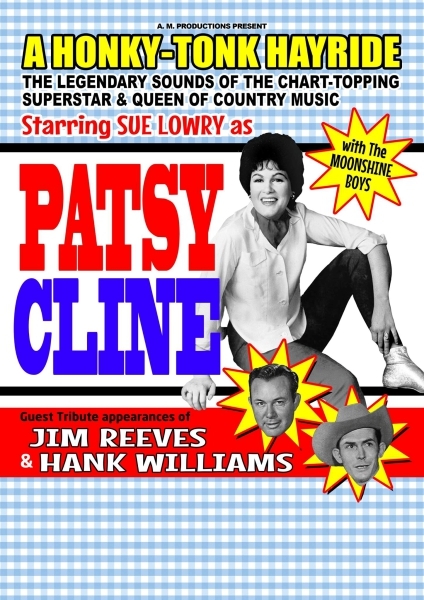 The Velvet Country voice of Patsy Cline caught the imagination of Sue Lowry, who has been a lifelong fan of Patsy Cline and Country Music! Sue Lowry was brought up by Parents who had their own Band and played all around Great Britain playing Country Music that would lay down all of Sue Lowry’s Country Music Roots! 2018 is the 55th Anniversary year since losing Patsy Cline, year after year its proof the Music grows stronger as all the hits are played all over the World! Patsy Cline was a record breaking recording artist spending 251 weeks in the Country Music Album charts in the U.S.A. A down to earth Country ‘Gal’ who could look good in Western wear or any evening dress, as she performed all the Country Ballard’s. Sue Lowry with her powerful rendition of Crazy, Sweet Dreams & I Fall to Pieces will take you back to those Honky Tonk days of pure Country Music , songs include ? Honky Tonk Merry go Round , She’s Got You, & Got a lot of Rhythm in my Soul . Joining Sue Lowry ? Marc Robinson, who has been up to now renowned for playing Buddy Holly, will pay tribute to the Granddaddy of Country Music Hank Williams with songs that include? Howlin’ at the Moon, I saw the Light, and Rootie Tootie. 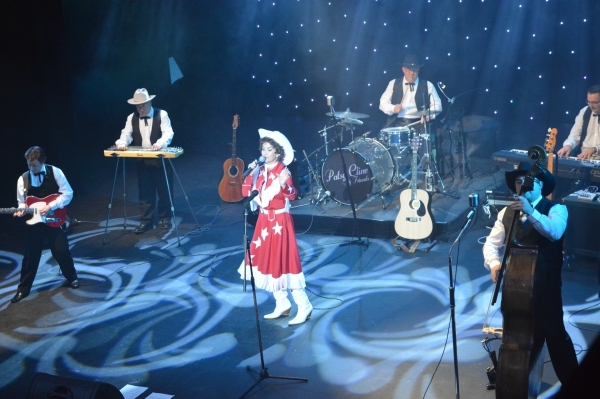 Lee Davidge performs a sensitive tribute to Jim Reeves with his authentic costume and iconic mesmerizing voice, songs will include ? Welcome to my World , Distant Drums, and the song everyone knows ? a song everyone can join in with, Bimbo!